It forgoes the current template_group/template setup and creates “static” and “listing” pages that are all editable through a tree sitemap view. 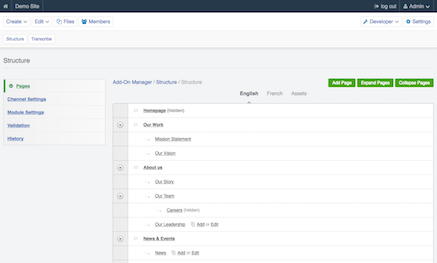 Now, traditional page style content and multiple entry pages can live within the same area. Your clients & authors will rejoice. Full documentation and examples available at buildwithstructure.com.